I love being a Purex Insider! I love getting products to review and share with my readers! Now you, my readers, can join and be an Insider as well!! Do you like to blogs about savings, product reviews and host giveaways? Do you enjoy using social media? Do you like to blog and have family friendly content? Let them know Debra Daigle from Debras Random Rambles sent you! 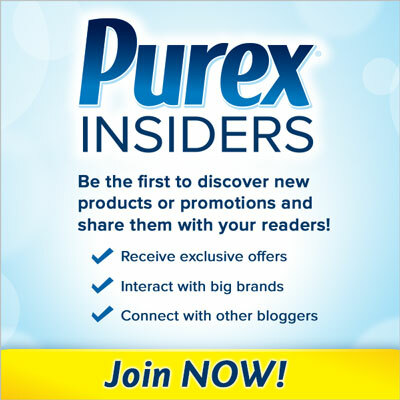 Click here to go to the Purex Insiders website!